Alrosa Airline founded by the self-titled Russian diamond mining company has signed an LOI with IFC on 12-year operating lease of three MC-21-300 aircraft with option for additional three. The aircraft are expected to join Alrosa’s fleet in 2023 – 2025 to substitute Tupolev TU-154 and Boeing B-737. The parties have agreed to firm the deal’s terms by October. 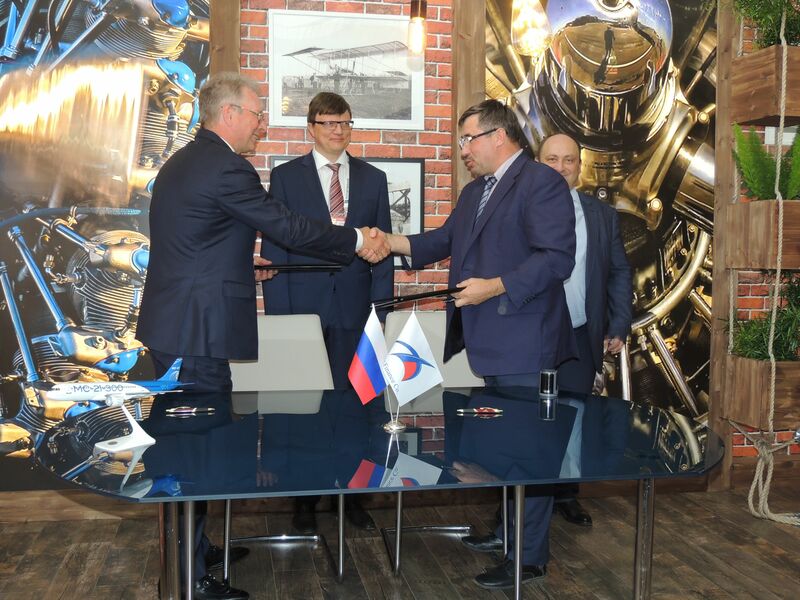 The document was signed by Ilyushin Finance CEO Alexander Rubtsov and Alrosa Airline’s CEO Andrey Gulov in presense of Irkut Corp. VP Kirill Budayev.